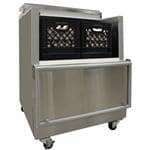 Although they’re most commonly used in school cafeterias and healthcare environments, commercial milk coolers are also a great choice for any self-serve, convenience or grab-and-go food service establishment. 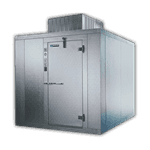 The reason why many people prefer a purpose-built commercial milk cooler over a standard refrigerator is because these units are generally designed to serve and store dozens of cartons of milk directly from the crate or shipping carton — no unpacking required! 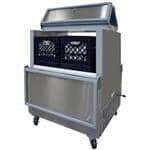 They keep your milk cool and fresh all day so you don’t risk spoilage. 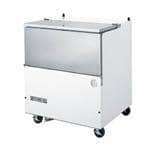 Also known as commercial milk dispensers, these units are especially ideal for education environments and come in several heights to accommodate all ages. 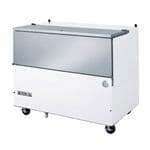 We have milk coolers for sale in our selection that are equipped with heavy-duty, built-in casters so that you can easily roll the unit wherever you want to dole out fresh milk. 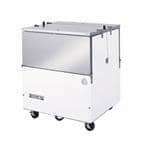 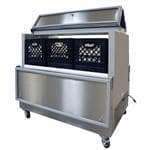 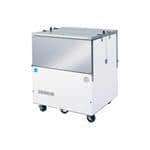 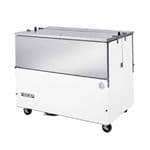 These are a prime choice for schools that want to roll the unit into the kitchen at the end of lunch or for nursing homes and health environments where in-room delivery is required. 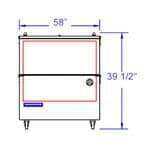 You’ll find a commercial milk dispenser here that’s tailor-made to your customers, needs and budget. 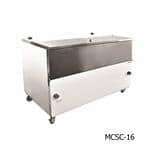 You may prefer a small, rolling milk cooler for serving smaller groups or opt for a two-sided style that can service two lines simultaneously. 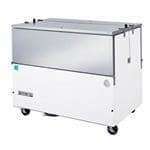 For storing large amounts of milk in your grocery store, convenience store, large school, university or any other environment with a higher amount of traffic, make sure to consider our quick-ship walk-in coolers that can accommodate large volumes of milk and other beverages. 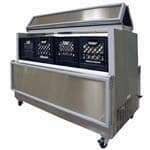 At CKitchen, we’re happy to offer the guaranteed lowest prices and the easiest buying solutions on commercial restaurant equipment. 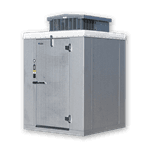 Finance, lease, buy — whatever works for you!